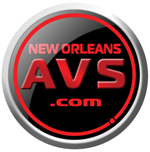 New Orleans AVS has affordable computer, laptop, audio visual equipment rentals to suit your needs. A one day meeting or a one year project, New Orleans AVS can provide a solution. New Orleans AVS can provide on-site technicians, spare equipment, to ensure a smooth and successful event. Our staff works with meeting planners, small and large corporations, event organizers and wedding planners from conception to completion, to ensure that you get the results you desire, time after time. If you’re a hotel or facility in need of in-house AV services, New Orleans AVS has the solution for you. Our team can support events of all sizes in your facility.